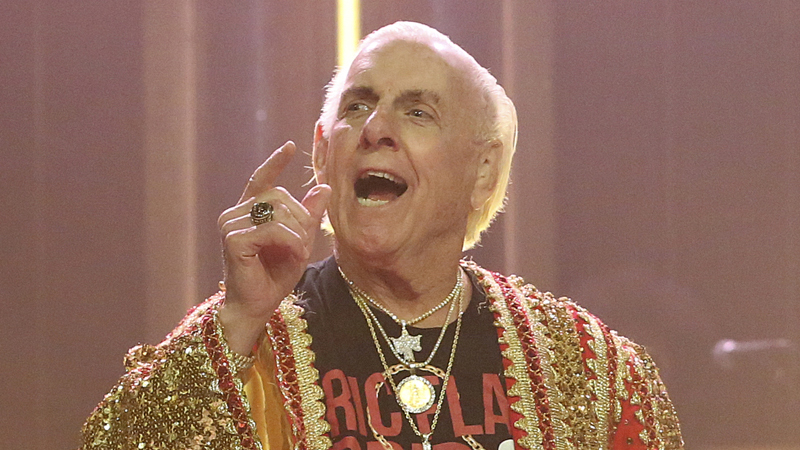 “The Nature Boy” Ric Flair is still stylin’ and profilin’ in the best way he can and this year, the WWE Hall Of Famer wants to be more like his electrifying peer, Dwayne “The Rock” Johnson. Lotta love and respect for the “kiss stealin’, wheelin’ dealin’, jet flyin’, limousine ridin’ son of a gun” Uncle Ric. 2019 and he’s levelin’ UP!! And cheers to always having a hard time holdin’ our alligators down! Maria and Mike Kanellis were guests on the latest episode of UpUpDownDown, participating on the Championship Tournament as the two competed against each other on Mortal Kombat II.